This book is a collection of essays that explore a variety of topics in religious history, both East and West, using theoretical frameworks derived from the comparative-historical sociology of Max Weber. It breaks new ground, offering substantive new research in the historical sociology of religion. The scope of essays covers both geographical and chronological vistas. 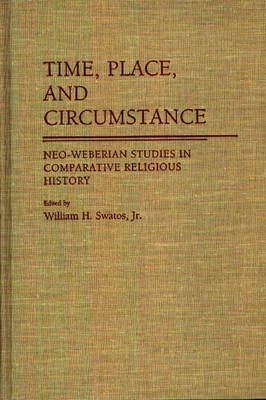 The first section of this contributed volume focuses on Oriental religion. A survey chapter by Gert Mueller on the religions of Asia precedes two more specific studies by Deniz Tekiner and Donovan Walling on, respectively, social conflict and change in Indian religion and Tibetan (Buddhist) patrimonialism. The second section considers the heritage of Occidental religion. Peter Munch analyzes the charismatic authority of the judges of Ancient Israel, while Joseph Bryant explores the religion of ancient Greek intellectuals from Homer and Hesiod through the pre-Socratics. A final essay by Donald Nielsen assesses the quality of contemporary efforts to do a sociology of early Christianity and makes some suggestions toward improvement. The third section deals with the breakthrough to the modern world view. An initial essay by Nielsen treats the Inquisition in its earliest stages as presaging later Western religious rationalization. A chapter by Bill Garrett then assesses two modern attempts (by Guy E. Swanson and Robert Wuthnow) to account for Reformation outcomes. Two essays, by Steve Kent and Fred Kniss, deal with two of the little Protestant traditions: the Quakers and various Mennonite strains. A final contribution by the editor examines the role of religion in the creation and maintenance of slavery in the American South. This book should appeal to anyone interested in Buddhism, Hinduism, Ancient Judaism, Ancient Greece, early Christianity, and Protestantism and Catholicism from the 13th to the 19th centuries, and it can ideally be used as a text for teaching Comparative Religions at the undergraduate and nonspecialist graduate levels.